Buying a house seems like something you’re just supposed to do once you reach a certain age. I’m frequently asked why I don’t own a house yet at 29 years old. My reply is always the same: “my student loans are my mortgage”. But that may not be the case for you – you may be ready to buy a house. 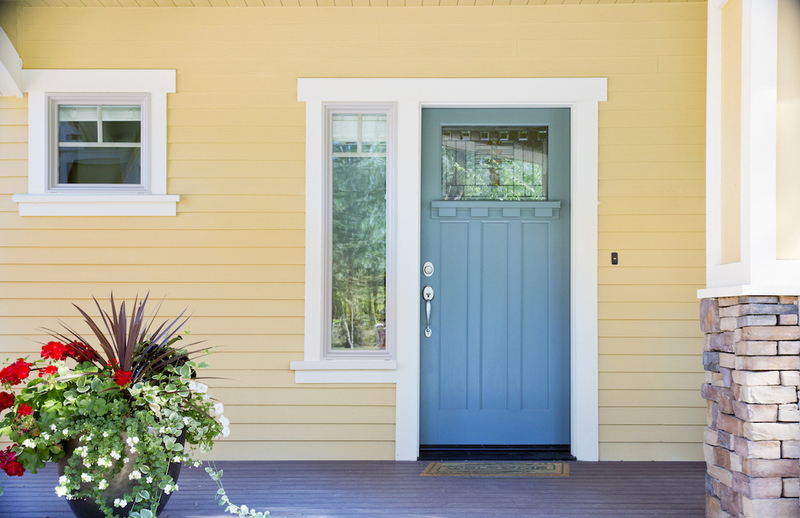 Whether you’re ready to buy a home is a personal question that should be answered based on your finances (and other things, like commitment to the area and life choices). I’m a big proponent of the Dave Ramsey line of thinking when it comes to home ownership – buying a house costs you money in the short term but is an asset in the long term. What does this mean? It means that you need to have money to buy a house. Comparing rent to a mortgage payment is not how you decide whether you should buy a home. In fact, most pros suggest that you have an emergency fund of at least 3-6 months in place and put between 10-20% down when you buy a home. If you are ready to buy a home, then there are certain things that you need to know. Even if you don’t care to know about this stuff — guess what? You still need to learn about it if you’re buying a home (the same applies if your spouse knows the ins and outs — you still personally need to learn it). 22 terms that you ought to know if you are buying a home. Seller wants to sell his house and Buyer wants to buy Seller’s house. Buyer isn’t a millionaire, so Buyer needs to get help from the Lender (bank) to finance this big purchase. Lender agrees to give Buyer a loan under certain conditions (these terms are always advantageous to the Lender so the Buyer must read carefully). Seller and Buyer go through negotiations until they reach the most important substantive terms of their agreement (usually this is the price and a few other things). After Seller and Buyer have an agreement in writing, the closing process begins. The Seller and Buyer need to do their own due diligence to make sure that this deal is a good idea for each of them. Additionally, the Lender has to make sure the property is valued as it should be and that the Buyer will most likely keep its promise to pay the mortgage. After all parties involved – the Seller, Buyer, and the Lender – do their due diligence, they can begin to sign papers and transfer the property. However, if there are any hiccups with any of the parties, the deal may be called off. Otherwise, at closing, title to the property is transferred and the deal is complete. This illustration may be too basic and unnecessary for you, but I believe it’s always good to understand the bigger picture (side note: this is basically how all deals work, including business deals). Here is a chart that I created to demonstrate what a typical home-buying process might look like in a little bit more detail. Now to the good stuff. Here is a list of 22 terms you need to know before you buy a house (when I originally started writing this post, I thought I could do it in 10 items – turns out there is a ton of stuff you need to need to know). A real estate agent is a licensed professional who helps the buyer or seller in the house-purchasing process. Most agents work for a real estate broker or realtor. As a buyer, you want to hire a good real estate agent when you are buying a house. Getting prequalified is the first step in the mortgage process (it’s usually pretty simple). You give your lender your overall financial picture, the lender evaluates your information, and then the lender gives you an idea of the mortgage amount that you will qualify for. Note, that prequalification is not a done deal – you may not in fact qualify for the loan for which you are preapproved (it’s a general idea). Preapproval is the second step in the mortgage process. You complete a mortgage application and provide detailed information to the lender (although you will not yet have a house picked out most likely, so the property information can be left blank). The lender will approve you for a specific amount and you will get a better idea of your interest rate. This puts you at an advantage with a seller because the seller will know you’re one step closer to getting a mortgage. If you get prequalified and preapproved before you pick out a home, then you can move quicker on purchasing a house (you won’t have to make your offer contingent on obtaining financing, which is especially valuable in a competitive market). You will have to provide proof of employment and proof of income to qualify for your mortgage. This shows the lender that you are creditworthy. It’s usually not great to quit your job during the home-buying process for this reason. Some lenders may ask for employment verification later in the home-buying process, so your approval could actually change if you take a lesser paying job during the home-buying process. A conventional loan is a loan that is not backed by the government (meaning that the government doesn’t make any guarantee that you will pay the mortgage), and therefore, carries private mortgage insurance if you put less than 20% down. Conventional loans adhere to guidelines set by Fannie Mae and Freddie Mac and are available to everyone, but are more difficult to qualify for than VA or FHA loans (you need better credit and a steady income, for example). An FHA loan is a loan insured by the Federal Housing Administration (this means that if you default, the FHA will repay the note to the bank). Because the loan is insured, the lender typically offers a low down payment required (3.5%, for example) and low closing costs. Anyone can apply for an FHA loan and an FHA loan is easier to qualify for than a conventional loan. Instead of PMI on your FHA loan, you will have MIP (mortgage insurance premium), which stays with the life of the loan. That means that unlike a conventional loan where you can remove the PMI, on an FHA loan, you cannot remove the insurance without refinancing the entire loan (which you have to qualify for in order to do). A VA loan is guaranteed by the Veterans Administration and is available only to certain borrowers through VA-approved lenders. Usually, you need to be in the military or a veteran to qualify. VA loans do not carry PMI and there is no money down required. An adjustable rate mortgage (ARM) offers homebuyers with a low interest rate on their loan for an initial period, after which time, the interest rate increases or fluctuates for the remainder of the loan. This loan transfers the risk of rising interest rates to the buyer. A fixed rate mortgage means that the interest rate on the mortgage is fixed at a specific rate for the entire life of the loan. For example, if you have a 15 year fixed mortgage at 4%, this means that your loan is for 15 years and your interest rate will be 4% for the full 15 years, regardless of the market. PMI stands for private mortgage insurance. As part of qualifying for a conventional loan, you will have to get PMI if you put down less than 20%. Once your equity in your home reaches 20%, you can get the PMI removed (lowering your monthly mortgage payment). However, with an FHA loan, the insurance stays on the loan for the life of the loan, regardless of the equity in the loan. The private insurance on an FHA loan is called mortgage insurance premium (MIP). There is no way to avoid MIP on an FHA loan. Lenders issue mortgages on 30 year or 15 year terms. You will be hard pressed to find a lender issuing a mortgage for a term other than 15 years or 30 years. The advantage of a 15 year mortgage is that you pay significantly less money in interest over the life of the loan than you would under a 15 year mortgage. Like any other loan, a cosigner on a mortgage means that the person is binding himself to be legally obligated to make the debt payments should you default. So, if you have your mom cosign on your mortgage and you default, she’s on the hook legally and will have to make payments. Similarly, if she wants to get off your mortgage, she can’t do so without you refinancing. If a cosigner is required, the lender is effectively saying that your financial history isn’t good enough and they want someone else to be on the hook, too. An amortization schedule is a complete table showing your payments, principal, and interest over the course of the loan. A prepayment penalty is a clause that will be in your loan documents (if it exists at all). A prepayment clause says that you will pay a penalty for repaying your debt early. When you buy a house, you will make an “offer”, which is an offer to buy the house. The seller may accept your offer or reply with a counter offer, which will state different conditions than what you offered. A home inspection is an examination of a home done by a home inspector to determine the condition of the home at the time of inspection. You will need to pay for a home inspection if you’re buying a house. A home appraisal is an examination of the value of the property done by a real estate appraiser. An appraiser determines the monetary value of the property. You will need to pay for a home appraisal in order to provide your lender with the value of the property for which you are trying to purchase in order to get financing. “Transfer documents” refers to the documents relating to the transfer of ownership from the seller to the buyer. Most documents will be signed by the seller and delivered to the buyer for your review. Documents include: 1) deed, 2) bill of sale, 3) affidavit of title (or seller’s affidavit), 4) transfer tax declaration, 5) transfer tax declaration, and 6) buyer / seller settlement statement. It’s important that you do your due diligence and read through the transfer documents to make sure everything says what it should say. “Home loan documents” refers to the documents relating to the mortgage issued by the lender to you, the buyer. These documents include: 1) note, 2) mortgage, 3) loan application, and 3) Truth-In-Lending Disclosure (TILA). There may be other documents included. It’s always a good idea to read the documents yourself and consider having an attorney read them for you, too. The title company and escrow company will also send you documents to review. The title company will send you the title insurance commitment showing that the party who has title is in fact the seller, in addition to any liens on the title. You should review this document and so should your attorney if you have one. The escrow company will also review it to make sure it says what it should say. Title insurance protects you and the lender from the possibility that the seller didn’t have free and clear title when the seller sold you the property. Getting title insurance is a standard step in the home-buying process. Your escrow or closing agent will typically help you get title insurance after the purchase agreement is signed. A home warranty includes basic coverage over certain things that may go wrong, such as plumbing, electrical, heating, and major appliances. The warranty is for a certain amount of time (like one year) and you have to pay for it up front if you want it. Closing costs are fees paid at the closing of the transaction. Closing costs can be paid by the buyer or seller and they can be part of the negotiation process. Closing costs can be thousands of dollars, so don’t forget about them! When you get a mortgage, your lender may require you to set up an escrow account. A monthly escrow amount is added to your mortgage payment. The escrow payments goes toward real property taxes and insurance that you would otherwise have to pay once or twice a year. Instead, you generally will pay a monthly payment and the money sits in escrow to be paid by your lender when it’s due. This escrow payment is above the principal and interest portion of the mortgage payment and is required. Most lenders require you to have homeowners insurance in place in order to obtain a mortgage; however, it is not required by law. Property tax is the amount of money that you are required to pay based on the property’s assessed value. Property tax can be very costly, depending on where you live. This is something you’ll want to consider when calculating how much you plan on spending on your overall homeownership expenses. Property tax payments are usually due annually, but more often than not, they are divided into and included in your monthly escrow payment. In a perfect world, I would love to get a 15 year fixed rate mortgage using a conventional loan where I put down 20% (avoiding PMI altogether) in a great neighborhood close to the city (but not too close) with a white picket fence, red door, and black shutters with a boatload of money in the bank to go with it. But here I am, writing about the process and not buying any homes – I’m just trying to pay off my student loans. What’s my point? Take all of this with a grain of salt. You know what’s right for you, so go with that. I agree that comparing rent to a mortgage payment is not a good way to decide whether you’re ready to buy a house. Even on just a financial level, there are so many hidden costs of buying a house and of owning a home. Even if it appreciates greatly and you can “make a lot” by selling in the future, you’ll have spent tens of thousands on maintenance and repairs, furnishings, incidentals, taxes, interest, insurance, etc. I own a home and certainly am not opposed to home ownership, but as you said, it really helps to be informed and many first-time buyers lack information. So thanks for sharing this. Exactly! I can’t wait to own a home, too. It’s just important to be financially ready and know what you’re getting into. Wow- buying a home isn’t on my immediate timeline, but this post is bookmarked for whenever that time comes. Great resource! Thanks, Stefanie!!! Can’t wait to see you at Fincon! We went through all this recently when we sold our home and bought a new one, although not our first home. 🙂 Lots of good information and unfortunately I see a lot of people who don’t do a very good job of reading the fine print, so to speak, they just want to know how much house they can buy. I am sure you have lots of real life “practical” tips that I either missed or wouldn’t know (would love to see you write a post on that)! Wow!!! This is an amazing resource Natalie! I love the flow chart! The biggest piece of advice I always give to first time home buyers is to over prepare for as much cash as you will need for the whole process. Closing costs are always estimated by your lender and escrow agent and you don’t typically get the final number until the night before and you don’t want to fall short of cash at that point. Also, no matter how great your home inspector, there always seems to be issues that pop up after you move in that you were not planning on. That’s excellent advice, Shannon! Thanks for that tip. I’m sure your clients love getting that extra info from you. Excellent post, and an important one for any homeowner who is looking for some background info before jumping into buying a home. We bought our house a little less than 3 years ago and I definitely wish I had learned more before jumping in. That’s how I feel about student loans, DC! The problem is that people usually don’t start learning until there’s a problem (I didn’t care about finance until I realized I had $200k of law school debt)! Yep, it’s a long, exhausting process. And when people compare rent to mortgage, they forget to factor in things like utilities, which their apartment complex probably covers at least part of. When we moved in, we were in for a nasty surprise — especially with a poorly insulated house in Phoenix. Not to mention all the repairs we’ve had to pay for. But eventually it’ll be worth it since we won’t have a mortgage payment. Also, you should mention that prospective buyers should attend a bank’s home-buying seminar. The bank will often offer lower rates to people who went. I guess because they assume informed buyers are less of a risk. But point being, even a quarter or half a percent makes a huge difference over 15-30 years. Abigail recently posted…New number, who dis? That’s a great suggestion, Abigail – thank you! I would never buy a house without a real estate agent…well without a good one anyway. Many don’t know what they are doing but a good one who knows the process and what to spot can save you thousands. I completely agree, Brian! People make big mistakes with this one. Amazing resource Natalie, and I love that you made a flowchart to go with it! I’m not exactly ready to buy a home yet, but I agree that too many people go into it blindly. It might be “boring” to read about, but it will save you so much money in the future! Shannyn @ Frugal Beautiful recently posted…When You Just Need A Giant Reset Button…Searching For Home & Starting Over. Will keep this question in our consideration to suggest people who are looking to buy a house. Thanks for the guide to buying a home! My wife and I want to buy our first home this year, but we haven’t known where to start! I like that you said that you should look into hiring a real estate agent before you do anything else. They will probably be able to guide you through the process and make everything easier. This is an awesome post! How long have you been a homeowner for? Prior to purchasing my first house I read your post and it gave me a lot of comfort. This is a nice little glossary of terms and home-buying guide for those of us lost in the process. Thanks for sharing! Definitely saving this information for the future! You wrote that you should have a home inspection done before you make a final decision on buying the home. My friend and his wife are planning on buying their first home this year and I thought they could probably benefit from some tips. Once they find a home they like, they could check it for problems as that could save them money in the future. I’m glad that you pointed out the difference between pre-qualified vs. pre-approved. I didn’t realize that pre-qualified is just a general idea of what you might get approved for while pre-approval is a specific amount you’ll be able to get a loan for. My husband and I would love to buy our first house before we start having children. When it comes time to buy a house, I’ll have to remember to get pre-approved for a loan first. Thanks for the great tips! My wife and I have decided to stop renting and get our own place. Especially that our baby boy is coming. Indeed, the first try is always the most daunting one. Whether it be as simple as driving your first car to as big as buying your own place. I agree that flexibility could always benefit you as a buyer. I say don’t be afraid nor be embarrassed to negotiate prices! It’s a way to save money which, for me, could be used for when my wife’s pregnancy expenses. And lastly, being prepared is the best thing you could do. Thanks for the great read! I really liked that you had mentioned in your article that it can be important to get a solid proof of employment and income to make sure you have it when it’s needed. My wife and I have been looking at moving into our first home together to start a family together since our apartment is too small for one. We’ll have to start working on getting those proof’s and then we’ll be looking around for homes that are selling. It’s good to learn that there is this title insurance that can protect us once we purchase a home to make sure that we are safe with the transaction. I better make sure to have a Realtor to help me get one of these after the agreement signing. My fiance and I are to move soon, so these tips will be very handy especially the ones in the home warranties and other papers. Thanks for the timely guideline on how to purchase a home for the first time! Thanks for the advice about not comparing rent to a mortgage payment. My husband and I have been saving up to buy our first home buy renting. Now that I know we should plan on making a 10-20% down payment, as well as preparing savings that can cover a few months in case of an emergency, I can plan on how much money we need to save before buying our first house. We are probably about a year away from that point! I can’t wait to start looking at houses though. Natalie, thanks for your comment about how you should look for a home mortgage that is reasonable for you. I like how you said that a real estate agent could help you fin one. My husband and I are looking into a good house in a good community to move into.